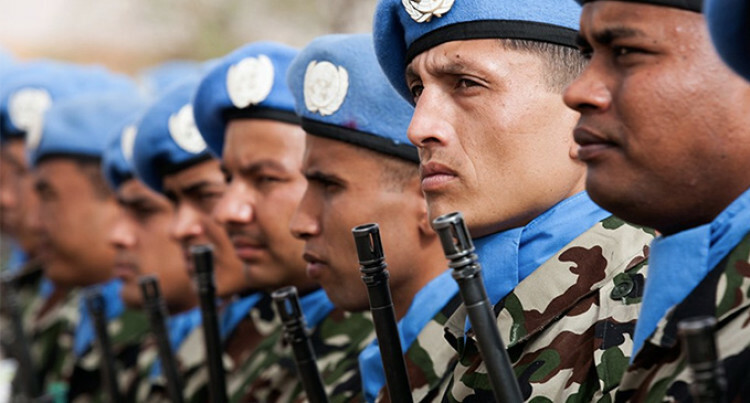 China currently has some 2,500 peacekeepers serving in eight UN peacekeeping operations. A Chinese envoy has said that several actions can be taken to improve the UN peacekeeping operations. Speaking at a plenary meeting of the Special Committee on peacekeeping operations, Wu Haitao, China’s deputy permanent representative to the UN, said that the UN peacekeeping operations are facing new challenges while playing an important role in maintaining international peace and security. According to Wu, the Secretariat’s new peace and security architecture and management structure are operational now, and the new structures are expected to be effective on integration of resources, improve service management and operational efficiency. “More attentions should be paid to the safety of peacekeepers,” he said. “Principles such as sovereign equality, non-interference in internal affairs and peaceful settlement of disputes, should always be observed, ” Wu said, adding that in order to carry out their work smoothly, these are the prerequisite and guarantee for peacekeeping operations to win the trust of the member states. Wu also highlighted the importance of political settlement, saying that it is the “core element of UN peacekeeping operations. “Political priorities should permeate all phases of operations. Clear, viable and focused mandates should be made for peacekeeping missions, and continuous adjustments of priorities need to be undertaken at all stages in response to dynamic needs,” said the Chinese envoy. “China is a staunch supporter and participant in UN peacekeeping operations, a major troop contributor and the second largest contributor to peacekeeping assessments,” Wu added.